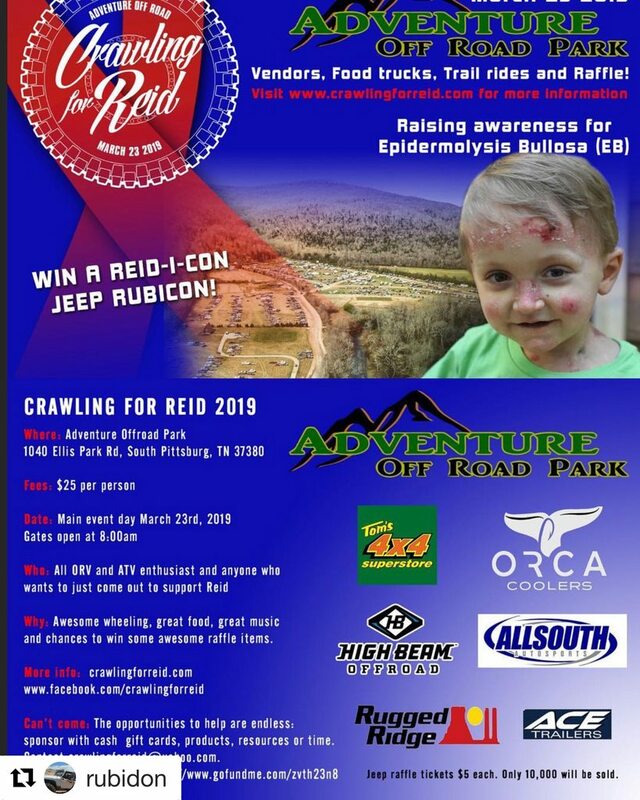 Extremely excited to announce that we will be holding the Crawling for Reid event the weekend of March 17, 2018 at Adventure Offroad Park in S. Pittsburg, Tennessee. We have some very exciting things planned for this event and you will not want to miss it. Our 2017 had over 2200 people attend the event and raised over $120,000.00 that went to the Reid family and to help fund Epidermolysis Bullosa(EB) research and help to get closer to a cure. If you made it to the last event you know that we packed the place out. We will have more expanded parking areas and more activities planned that will keep everyone entertained. We will have some HUGE announcements coming soon. Please plan on being with us to support this great cause. Stay tuned. Tony here from N. Georgia...Austin told me about your site and invited me to join. 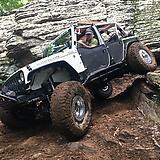 I am not local to you all but likely wheel most of the same parks...and I love a good jeep forum! I also help run the Crawling for Reid event held every year at Adventure Offroad Park and will start an event thread, if that is ok, to keep you all updated on it.